This is the 8th block of 12. Fat Quarter Shop has already listed the Mystery Designer BOM for 2013. Thank God. I might just die when we got to the 12th month otherwise. 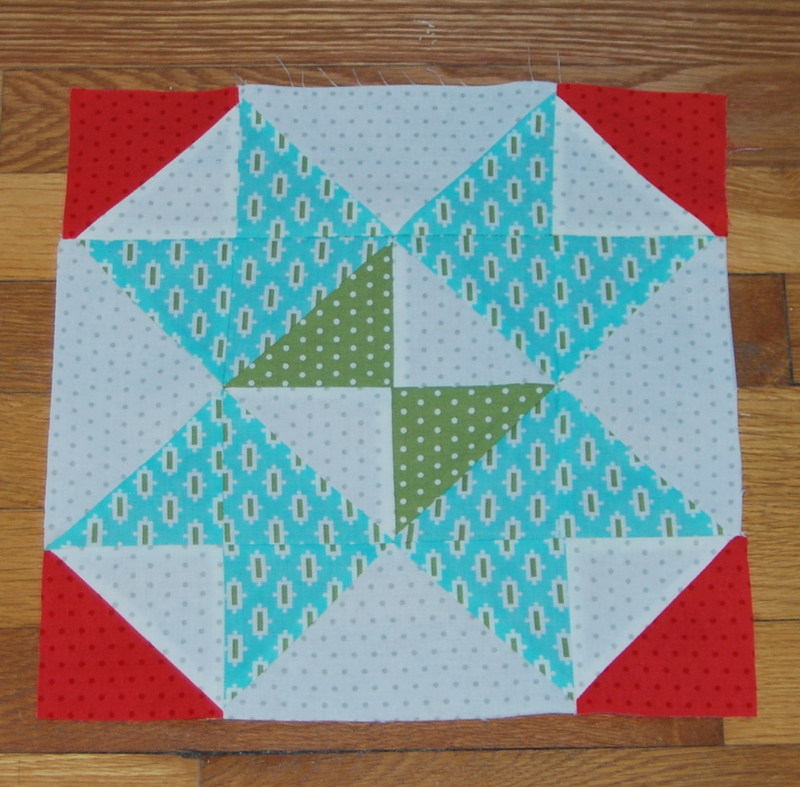 This block is called Lime Sherbet, and is designed by Bonnie Olaveson (www.cottonway.com) and Camille Roskelley (www.Thimbleblossoms.com). I'm satisfied with how much points look. It does help that the HST sizes are bigger.